Loon Vaiphai (44), allegedly assaulted 3 minor girls when he was in a car with them on July 22, police said. Guwahati: The Assam police arrested a senior official of SOS Children’s Village here on charges of molesting three minor girls who are among 140 children living in the shelter home. Police said that the assistant director of SOS Children’s Village, Guwahati, Loon Vaiphai (44), allegedly assaulted the three minor girls when he was in a car with them on July 22. The children had also complained to the authorities who are running the shelter home against Vaiphai, from Manipur, police said adding that the incident came to light on August 1, when the girls narrated their ordeal to members of Rotaract Club, which was organizing a six-day leadership camp at the village. The members reached out to a local journalist, who then approached child rights activist Miguel Das Queah. Miguel, also the founder of child rights organisation Utsah, filed an FIR at the Azara police station, following which the police lodged a case against Vaiphai. 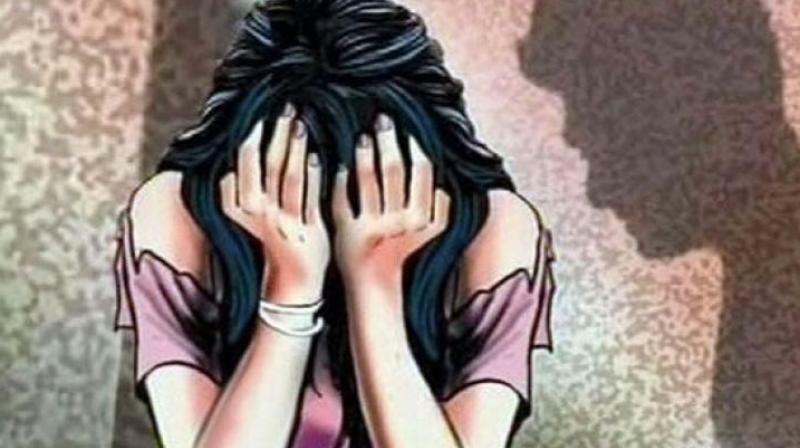 Azara police station officer-in-charge Ashok Dutta said that Vaiphai has been charged under Section 10 of the Protection of Children from Sexual Offences Act (aggravated sexual assault). The village at Azara was set up under the international organization, SOS Children’s Villages International, in 1988. Meanwhile, SOS Village authorities in a statement on Monday said that the Assistant Village Director of SOS Children’s Village Guwahati has been suspended by SOS Children’s Villages of India on August 3, 2018, for his alleged misconduct against three minor girls (aged 12 to 13) from the Village. The matter is being internally assessed. Pointing out that following standard procedures, the three girls were taken away from the Village by the authorities on August 2, the authorities said that they (victims) appeared before the Judicial Magistrate First Class, Kamrup (Metro) on August 3 to record their statements. By the order of the Judicial Magistrate, the girls were sent back to their SOS families the same evening, as the girls had requested. The Village is providing counseling support to the three girls. The press statement claimed that the SOS Children’s Villages of India has a zero-tolerance policy against any kind of abuse or misconduct against children under its care. Its first and foremost concern is the safety and wellbeing of the children. It also deeply regrets that such an act has allegedly been perpetrated by an employee. SOS India is extending every possible support and cooperation to the authorities on this matter so that justice is delivered. SOS Children’s Villages International, the umbrella organization of which SOS Children’s Villages India is a member, is also closely monitoring the situation through its Regional Office for Asia, the statement sent on e-mail said.